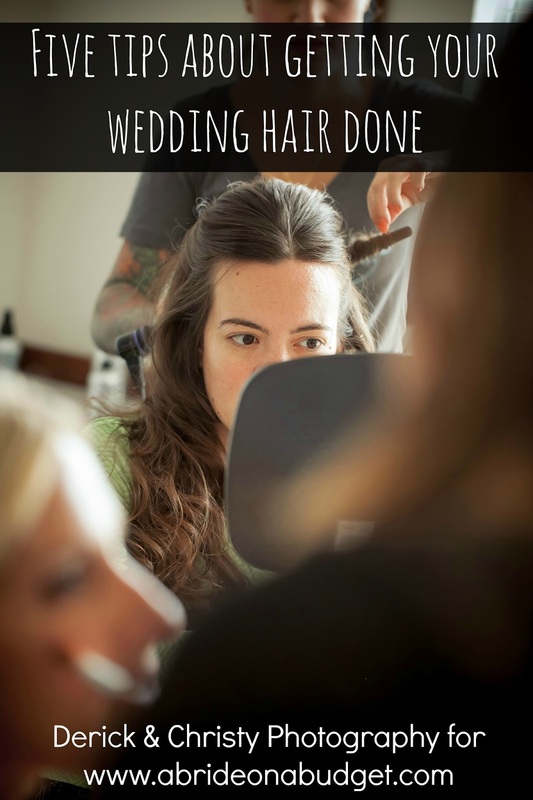 A Bride On A Budget received this item for review. All thoughts an opinions belong to A Bride On A Budget. One of the fun parts about planning a wedding is planning the wedding favors. When my parents got married, everyone had those candy-covered Jordan almonds on a spoon with some mesh and a ribbon tying it down. Lately, it seems like the majority of my friends have a donation, which means they give money to a charity and, instead of giving the guests something tangible to take home, they get a good feeling. I think we're going to be doing a combination of both. 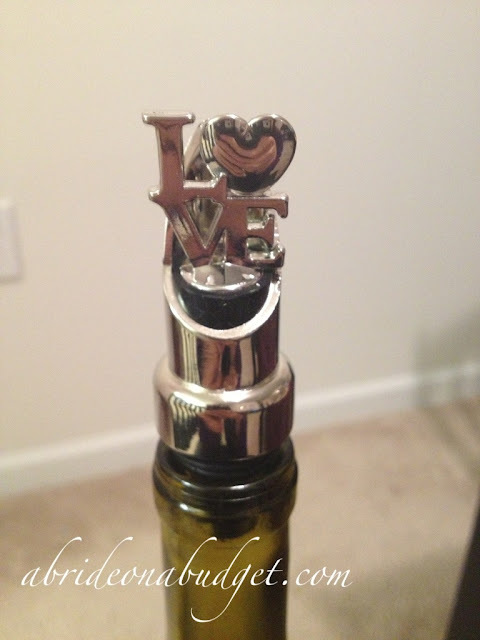 Figuring out the favor is hard though, so I'm excited that Beau Coup (a site that sells a ton of wedding favors) sent over the "LOVE" Pourer/Bottle Stopper for me to check out. The favor is cute. It comes in a box with a bow on top and so it just looks like a gift right off the bat. There's no debating about it being a favor or table decor. You know right away that you're allowed to take it home. I actually really liked that it's a combo piece. 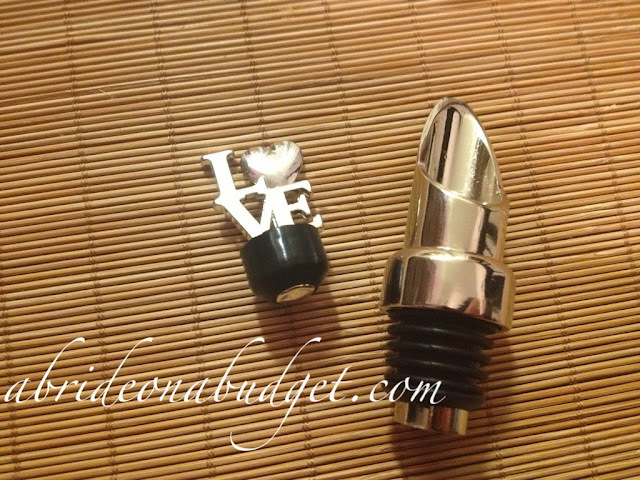 Most wine stoppers are just that: stoppers. We have quite a few of them around the house. They're great when you have a bottle of wine on the table. You just take it out and pour straight from the bottle. It's not that classy, but it works since it's generally just me and Pete here. But this wine stopper is half stopper, half pourer. So, when you are ready to serve, just pop off the "LOVE" portion and keep the other part in the bottle. I typed that and I actually had to get up to check the stopper to make sure. The LOVE portion has a solid bottom and the pourer portion has a hole in the bottom (obviously, since you can't pour any other way, but I needed to make sure. The love portion is replicated after the famous LOVE sculptures in cities like Philly and New York, the difference being that this one has a heart in place of the "o". Maybe it's because I'm planning a wedding so I'm seeing hearts everywhere (in fallen leaves, in my bacon the other day) but I just absolutely love that touch. These are made by Kate Aspen, which, if you've been traveling the wedding favor circuit like I've been, is a pretty commonly known brand. 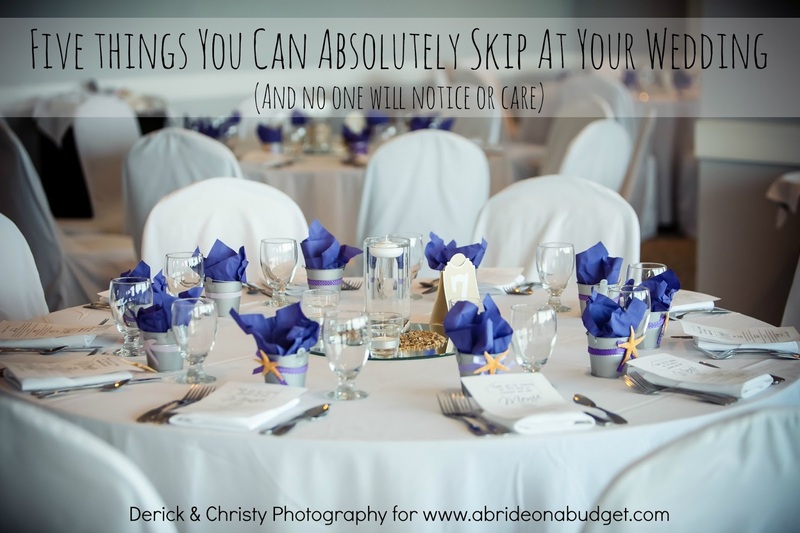 If you haven't been looking at favors like me, well, you probably never heard of Kate Aspen, but such is life. The favor is made of chrome and rubber and the bow is satin, in case you've got somewhat of a materials obsession. It has a good bit of weight to it, which makes me feel like it fits solid in my wine bottle and won't let it aerate. 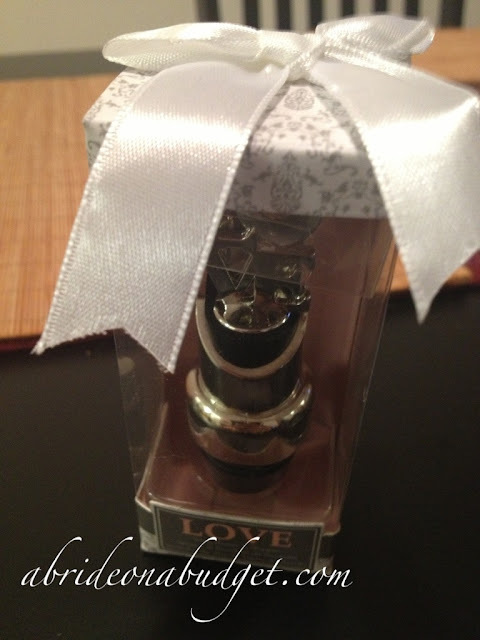 If you like wine, be sure to check out our twine-wrapped wine bottles DIY post and our wine wedding favors post too. 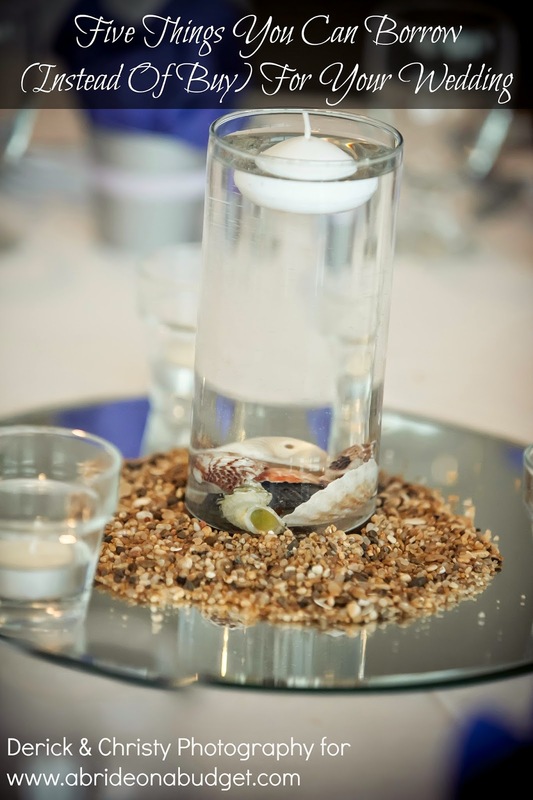 BRIDAL BABBLE: Would you pick these up for your wedding favors? I had not seen this review or this option for favors. I LOVE these, ha, pun intended! I think this is excellent, perfect. I would not look any farther for a favor.